The land on which the Playing Field sits was originally gifted by the Prestwold Estate for use as a community playing field. Hoton Parish Council now rent the playing field from Charnwood Borough Council for a peppercorn rent and manage and maintain it on behalf of the community. Between 2006 and 2008 the playing field underwent a dramatic transformation thanks to the leadership of Cheika Kennedy. Cheika set up and led the Playing Field Community Project to raise funds and organise improvements. The Parish Council is hugely appreciative of the work and vision of Cheika and the rest of the Committee for giving the village such a great facility. The Parish Council have been continuing this fantastic work. Details of the latest developments are below. We sought your views on how to continue to improve and maintain the Playing Field for the benefit of all in a survey conducted in July 2014. The results of this survey are below. 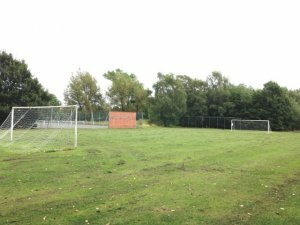 Hoton Parish Council carried out a survey in July 2014 to find out how the residents of Hoton use the Playing Field and how they would like to see it developed for the future. Here are the results of this survey. ¨ Children's Play Area: Extending the usable area by crown lifting of trees, clearing back the overgrown area, installing a fence to the rear and seeding a new grassed area under the trees. Repairs have been carried out to some of the play equipment and mole damage has also been repaired. frequency of mowing and adding line markings and fitting new goal nets. ¨ Traversing Wall: Repairs have been carried out to some of the holds. ¨ Cricket Net: The installation of a cricket net is a new addition to the Playing Field. ¨ Raised Beds: These have been renovated and planted with a new, low maintenance scheme. What is there at Hoton Playing Field? 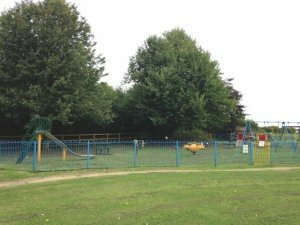 Find out about what is available at Hoton Playing Field!